Boasting quality, refinement, care and passion, Isla is a refined collection of tables, crafted to bring class and sophistication to any environment. Designed in house, Isla originates from a contemporary style with organic flair. 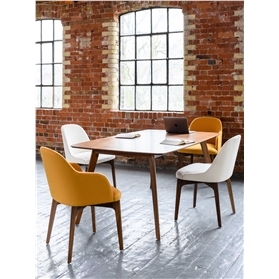 An ideal solution for dining, meeting or breakout areas.